Format: Online download courtesy of the Dungeon Synth webpage, described by them as "a seasonal collection of new and recent work made by the users of the Dungeon Synth Facebook group". It was 'released' on 22 September 2017. With all the doom and gloom surrounding the last post, let's lift our spirits with this rather nice online compilation courtesy of the Dungeon Synth webpage. It is described by the label as a seasonal compilation from current Dungeon Synth artists from both Facebook and the Forum. The artwork has been sourced from various artists, with overall mix and design by Kaptain Carbon. "The library, that was once discussed as having manuscripts from a different age, was famous for its catacombs. That was not all it had. Sections of the library held secrets including the ruined wing to the north. Overgrown with vines and exposed to the conditions of outside lay swaths of tomes people found too mysterious and dangerous to give proper care for. This is where some of the most infamous books find their fate. Whether originally stored in the north wing or thrown here out of some fear or spite, the books of the northern wing now lay buried under vegetation and felled trees. This is where you most likely will find it -- The Tome of Lost Worlds. Said to possess enchanting descriptions of far away places and even simple incantations to build bridges between here and there. It is no wonder the keepers wanted it lost among the ruins of the northern wing for I heard there are places that some wish to be lost forever." It could almost be an estate agent's script for the library within Castle Nazgul, could it not? But don't be confused, for this is more background information from the label about the nature of the musical offerings on this downloadable feast. The point of focus for Honour and Darkness is the Uruk Hai song at track number 8, namely 'Die Erste Schlacht' ('The First Battle'). As you doubtless will recall, this is a song that we've previously identified in this blog as appearing on the "Die Kriege von Beleriand Teil 1" back in March of 2016. And something of a modern day classic song by Uruk Hai it proves to be, predictably epic and grandiose but none the worse for that! It's not only Nazgul who's partial to this track: one independent comment on the Bandcamp page from user 'gatekeeper's_saveroom' notes for the release as a whole and this song in particular; "Not polluted by the shabby commerce and the artificial glamor of these days, you can immediately feel that this music comes from somewhere else. A lost world hidden deep inside, following nothing but its own, unseizable pulse. Favourite track: Die Erste Schlacht." "I kind of think of Dungeon Synth as a lone, ancient castle, hidden in a dark desolate corner in the shadow of Black Metal. Only a few know it’s there. And out of those few who dare to enter, only a few are capable of finding its treasure." 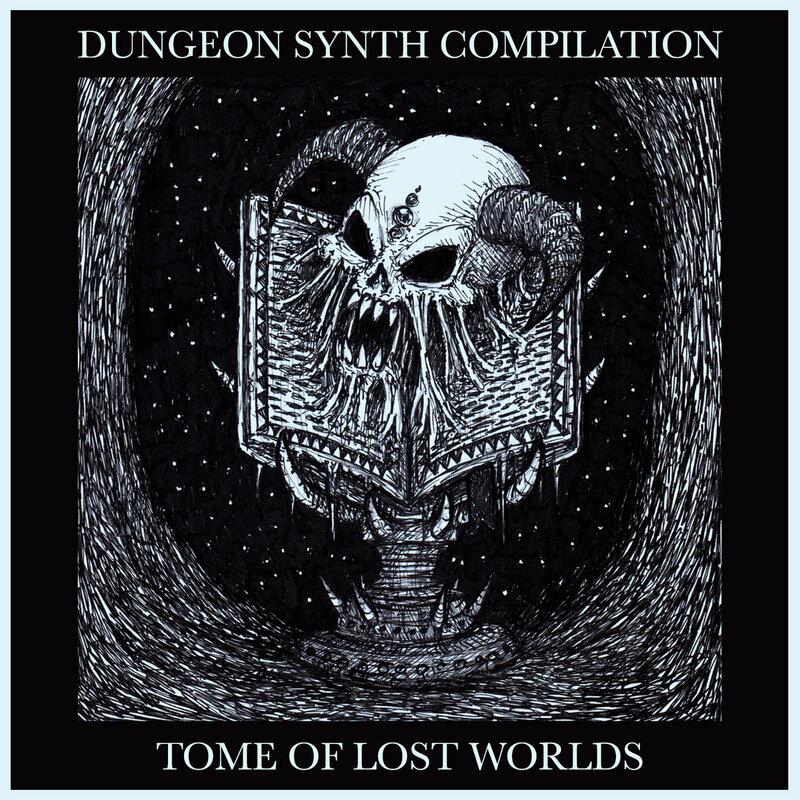 "Tome of Lost Worlds represents the 7th compilation made in 2017 and the start of the third round of seasonal collections of new dungeon synth. Since starting this project, I wanted to showcase new and recent works from a variety of artists who are either entering into the genre or even working on new material. The series has naturally fallen into three volumes which have become the traditional volume, the experimental volume, and finally the narrative volume. Tome of Lost Worlds represents the traditional volume or at least the one with the more identifiable dungeon synth music submitted. For as much as I adore the fringes of the odd, the sweeping sounds of ancient fields and long forgotten ruins holds something magical. The first of the fall compilations offers a mix of traditional dungeon synth with the work of Garadrak, Nan Morlithn, and Anglezarke. Beginning with Gatekeeper and running to the end of the compilation is a series of artists which lean and run towards the ethereal side of the sound. While still rooted in dungeon synth, the sounds of Inoriand, Uruk Hai, and Breidablik possess an almost heavenly sound or at least an intangible quality much like coloured mists in the morning. This trend continues until the closer by Alba which is a sobering and melancholic piano driven track used to wake up the listener from their deep daze. As for flow, this compilation starts on the ground and eventually ends up in the clouds lost in daydreams. Tome of Lost Worlds is to be followed in a week by On Old Misty Roads and finally the third volume of the Dungeon Synth Forum’s narrative compilation. Each volume will have its own aura and texture with further volumes leaning towards the shadows. For now enjoy the 7th volume which offers an escape into the descriptions of lost worlds. Somewhere near the Codex of Dreams is a tome which has pages filled with stories of lost worlds. Find it and you will never want to go home." Definitely worth exploring, and how nice to see our old friend Symbiosis on the tracklist. 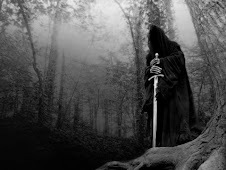 Nazgul encourages you to venture to the Bandcamp site immediately and - given you can name your own price to download the music - empty your wallet accordingly.